A large systematic review (a ‘review of reviews’) – the apex of the hierarchy of scientific evidence – has found that acupuncture works for menopausal symptoms. American researchers included three systematic reviews and four randomised controlled trials (involving a total of 1823 women) in their study. Acupuncture was found to be significantly effective for reducing hot flushes and night sweats, and thus improving women’s quality of life. Some of the studies even showed that these improvements were maintained for a year or more. The authors concluded that this evidence supports the use of acupuncture in the treatment of menopause-related symptoms. 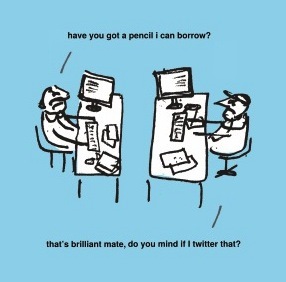 So if you or someone you know is suffering – find yourself an acupuncture practitioner! (Management of Menopause Symptoms with Acupuncture: An Umbrella Systematic Review and Meta-Analysis. J Altern Complement Med. 2018 Apr;24(4):314-323). 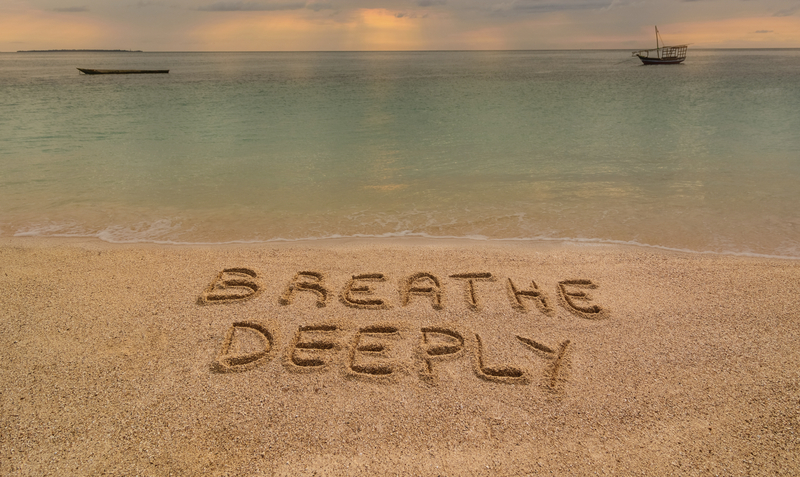 I find myself speaking to so many patients about the importance of breathing, I thought I would collect the basics on this short blog post. If you want to find out about the basic science of breathing properly, the best place to start reading is here (an excellent Journal of Chinese Medicine article by Peter Deadman). The best place to start viewing is here (a public talk on the same subject by Peter Deadman). In terms of books, The Healing Power of the Breath is an excellent place to start, and the publisher has put up the audio files of the guided breathing practices on their website. For patients with high blood pressure, see here for details of a breathing practice approved by the FDA in America to lower blood pressure, although the basic practice is essentially the same as above. There are plenty of breathing Apps available for smart-phones, which guide breathing practice in a variety of ways. I particularly like the use of tones – the app plays a higher tone for the in-breath and a lower tone for the out-breath. See here for some examples. If you can develop a daily practice of deep, slow breathing, it will provide significant health benefits. Q: Is there any evidence that acupuncture improves fertility? Acupuncture treatment ‘short-circuits’ the stress response that is so common in patients experiencing infertility, and that causes such hormonal chaos in their bodies. This explains why the great majority of women suffering from infertility who come for acupuncture report feeling much better in themselves, as well as noticing improvements in their menstrual function. There is also plenty of other ‘low-level’ research evidence that supports this physiological ‘mechanism’ research: cohort studies, observational studies, case series and case studies, and practitioners’ own clinical audits, not to mention a couple of thousand years of grassroots clinical knowledge from Chinese medicine doctors. This evidence is supported by the fact that, on the ground, patients are voting with their feet, showing that acupuncture is a viable option to treat fertility. In terms of ‘high level’ natural (i.e. 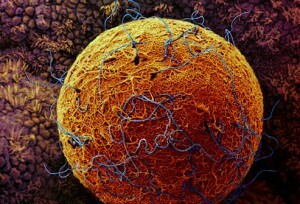 non-IVF) conception evidence, the evidence is too limited and poorly conducted to come to firm conclusions. But lack of evidence is not evidence of non-effectiveness. The reasons for this lack of evidence are complex, but the limited finances of the acupuncture profession play a big part. Research costs money, and we simply don’t have the money that Big Pharma has to set up trials. In addition, there are methodological problems with the existing research, where acupuncture is typically compared to ‘sham acupuncture’ (in which needles are inserted into ‘non-acupuncture points’). But sham acupuncture does not constitute an inert treatment – it has physiological effects in itself – and effectively constitutes a mild dose of acupuncture. Because of this, ‘true’ acupuncture often comes out of the research as being only slightly more effective than sham, which leads some to incorrectly conclude that ‘it doesn’t work’. In fact, not only does acupuncture work better than having no treatment, even mediocre acupuncture (i.e. sham) works. To establish statistical significance using this methodology requires very large numbers of patients, much bigger than anything done to date. When considering acupuncture treatment, patients should remember the potential downsides to orthodox fertility treatment, including higher numbers of birth defects and as-yet-unstudied effects of the drug treatments on women undergoing treatment. Acupuncture is very safe and leads to fewer side effects than drug treatments and of course can be given safely alongside orthodox treatment. It is also usually a much more cost-effective option. British Acupuncture Council members are trained professionals who know and understand the limits of their scope of practice, and routinely work alongside orthodox fertility consultants to provide patients with the best possible package of care. Q: Does acupuncture improves success rates with IVF? There is plenty of evidence of this – more than 50 randomised controlled trials and many reviews to aggregate and summarise them. However, whilst many are positive, some show conflicting results. Ultimately it tends to come down to how you crunch the data – which studies ar included and how they are interpreted. As explained above, acupuncture tends to be found effective when compared to having no treatment, but tends more to non-significance compared to sham controls. It is also worth pointing out that the type of acupuncture studied in the IVF trials tends to be far removed from good/usual clinical acupuncture practice, and therefore it is hard to reach conclusions and recommendations from it that relate to acupuncture as provided by British Acupuncture Council members. 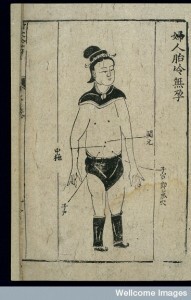 In traditional acupuncture practice there are two primary techniques, known somewhat poetically as ‘Warming the Mountain’ and ‘Cooling the Sky’. Applied to a patient’s body – whether with a needle or a thumb/finger/palm – they elicit either a distinct sensation of warmth, fullness and tingling, or a tangible sense of coolness, lightness and relief. Generally speaking, the warming technique is used to stimulate, enliven and strengthen an acupuncture point/channel or body area, while the cooling technique is used to clear excess heat, agitation and fullness. Applied correctly – that is, according to a proper Chinese medical diagnosis – these techniques produce an immediate and tangible feeling of relief in the patient, because what is cold and deficient is becoming warm and enlivened, or else what is hot and over-full being vented and relieved. Such phenomena can seem somewhat far-fetched and other-worldly, especially to those who subscribe to distorted Orientalist perspectives of such traditional practices. By way of explanation of such techniques, a team at Stanford University has been investigating the physiological phenomena associated with authentic taichi practice. 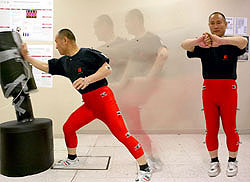 Their findings confirm not only that proper taichi (or qigong) training develops huge power, it produces the ability to make the hands extremely warm (or not) on demand. Such skills are traditionally referred to as an aspect of ‘qi’ skill, and are trained using various types of qigong exercise. It is these skills that produce in a patient’s body the phenomena of ‘Warming the Mountain’ or ‘Cooling the Sky’. Whether or not you choose to view these phenomena as ‘qi skills’, or like the team at Stanford see them in terms of changes in the peripheral vascular system and specific brain areas, they are real, and can be effectively applied – by those with the dedication to do the necessary training – both martially to fight or medicinally to heal. You can read the report on the Stanford study here. At our central London clinic, a large number of patients present with a distinct – and very modern – imbalance. 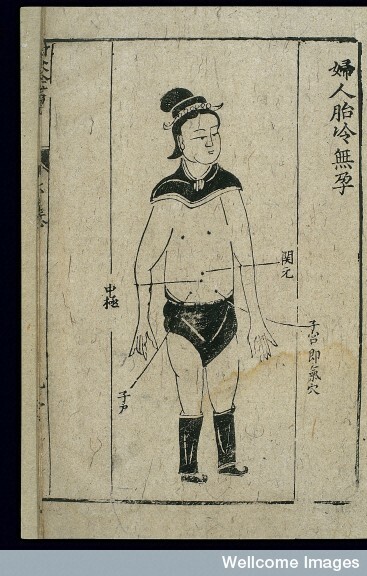 In Chinese medicine theory this pathology is expressed as ‘Liver yang rising’ or ‘excess above, deficiency below’, but a more vernacular description of this disharmony is ‘hot head-cold feet syndrome’. Essentially this involves excess qi (‘energy’ is the best of a bad bunch of translations) and blood rising up to the head and getting stuck there. Whilst not a particularly dangerous health problem (if you are relatively young and vigorous you won’t die from it), it does bring with it some fairly unpleasant symptoms, including anxiety, insomnia, headaches and fatigue to name but a few, as well as, quite frankly, feeling downright uncomfortable in one’s own skin (a cool head with warm feet tends to be a much more pleasant experience for most people). This pattern is often an exacerbating aspect of many other health problems. For instance, many of our patients at the London Acupuncture Clinic come for acupuncture treatment for infertility, and for such patients it is much more favourable to have the life-giving nourishment of blood flowing around their nether-regions rather than throbbing away in their heads. The cause of this modern epidemic (for I kid you not, that is what it is) is due to the perfect storm of stress (working long, fast and anxiously), sitting (at a desk all day with poor posture) and technology (staring at screens all day). The effect of this relentless staring, thinking and worrying is to pull all the energy and blood up to the eyes and brain. Add to this the ubiquitous stiff shoulders and ‘computer neck’ due to poor posture and lack of movement, which act like an efficient tourniquet to prevent blood flow back down into the body, you have the perfect daily practice that will gradually tear your body and nervous system apart, wreck your well-being, and eventually either compromise your health permanently or put you in an early grave. A possible aggravating factor is the as-yet unknown effects of wifi and the electromagnetic stimulation from our technology. Particularly powerful adverse effects come courtesy of the seductive glow of our devices in the late evening as we slouch semi-comatose on the sofa, swiping away at our ipad and iphone (other devices are available) while the 42-inch flat-screen burns away in the background. And we wonder why when we eventually drag ourselves to bed we experience that peculiarly unpleasant mixture of exhaustion and feeling utterly wired. So what can be done about this, given that most of us are not able or willing to ditch our jobs and devices (they ain’t all bad after all, right)? Essentially we need to bring our energy and blood back down into our body on a regular basis, and help them to circulate more freely. As a short-term fix this can be done by ‘wiping’ with ones hands down from the head, across the shoulders, and down the arms, legs and trunk towards the floor. You literally try to squeeze the blood out of the head down to the trunk and feet. Acupuncture is an excellent way of rebalancing your circulation, and the effects on well-being tend to be tangible and immediate – one feels calm, warm, happy and well, cool-headed and warm of feet. Exercise is many people’s go-to method of redistributing their stuck circulation, though if they suffer from underlying exhaustion, this will only be a temporary fix. Perhaps the most powerful long-term antidotes for this problem are qigong, yoga and meditation practice. The relaxed movements of qigong and yoga open up the body and balance the circulation, whilst meditation allows the energy and blood to settle back downwards and resume their normal, healthy circulation. Another useful method is walking meditation – which is concisely summarised by the Buddhist Master Thich Nhat Hanh as ‘walking with your feet, not your head’. In this practice – which you can use at any time, even whilst beetling around the most frenetic urban sprawl – you bring your mindful awareness to your feet, and use the contact they make with the ground as an anchor for your mind. Combined with relaxed breathing, this encourages the circulation to move down to the body and feet – bingo. Whatever your method, if you are working and playing hard in a modern urban stylee, use it regularly and keep a cool head and warm feet! Like most acupuncture clinics these days, at the London Acupuncture Clinic we see many women experiencing difficulty getting pregnant. Although these women present with various pathologies – endometriosis, polycystic ovaries and fibroids, for example – perhaps the most common presentation is of women in their late thirties and early forties who have received a ‘diagnosis’ of dwindling ovarian reserves during attempts to have IVF treatment. Such a diagnosis is based on blood tests of follicle-stimulating hormone (FSH) and anti-Mullerian hormone (AMH) levels, antral follicle count, and possibly the woman’s previous response to IVF stimulation drugs. Sometimes the patient is even unable to start their IVF treatment because based on these results their ovaries would be unlikely to respond to the stimulation drugs. These patients invariably receive the cold, clinical – and at times frankly brutal – pronouncement on their fertility from the mouths of fertility consultants who seem unaware of the potentially devastating results of their communication on the woman’s well-being. I have written about traditional Chinese and modern biomedical perspectives on ‘egg reserves’ in an article published in The Journal of Chinese Medicine in 1998. Today’s prevailing medical perspective asserts that women are born with all the eggs they will ever have, and which once used up are gone forever. In fact, I once had a good old humdinger of an argument with an acupuncture colleague, who argued (against my evidence-informed opinion) that such dogma is rubbish and merely constitutes a materialistic trap that will limit the possibilities of those who believe in it. However, the work of Jonathan Tilly and his colleagues may mean that those of us espousing the current biomedical party-line may need to reconsider their views. This is because Tilly et al have all but disproved the theory, widely held since the 1950s, that mammalian females are unable to produce any further eggs after they are born. Those who want a ‘lite’ digest of Tilly’s research should read this excellent précis published in The Independent, whilst those with who want a more academic approach can read a summary by Tilly et al here. Where do these findings leave those of us who are open to thinking beyond reductive materialistic dogma, but who do not wish to be naïve and subject to fuzzy thinking (both for our own sake and the sake of our patients)? In my JCM article I pointed out the potential conceptual overlap between stem cells – the wild-card/joker in the pack of human cells that Tilly’s work has shown have the potential to become viable eggs – and the Chinese medicine concept of jing (essence, frequently defined in as being a type of raw physiological potential). 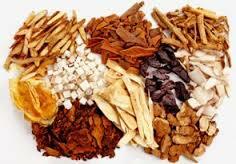 Consideration of this question is important for practitioners of Chinese medicine engaged in the treatment of fertility, as throughout the last two millennia various Chinese herbal medicines and acupuncture points/protocols have been described as being able to strengthen/augment/replenish/enrich jing-essence. Given the possible correspondence between jing-essence and stem cells (as well as eggs/sperm), does this mean that such Chinese medicine interventions to ‘tonify Kidney-essence’ might be able to facilitate the recruitment of these ovarian stem cells and assist their development into eggs? Those of us using acupuncture and Chinese herbal medicine in the field of infertility frequently see significant changes in women who have accessed our services for help with ‘low egg reserve’ and/or ‘poor egg/embryo quality’, although few of us would suggest that Chinese medicine treatment will reliably increase the numbers of eggs available during a subsequent IVF cycle. Given such research findings, however, who knows what might be possible? The news today that NHS spending on antidepressants has risen by one third in a year makes fairly, well, depressing reading. The medicalisation of normal human emotional suffering has continued apace over recent years, the only winner of which is Big Pharma. I like to think that I have a reasonably informed perspective on these matters, having worked for years in psychiatric care, for the Mental Health Act Commission, and as a Chinese medicine physician with 15 years experience of treating various severities of mental distress. Don’t get me wrong, antidepressant medications – when appropriately prescribed – can be a very useful tool to provide a person with a break from their internal suffering, allowing them to hold down a job or look after their family or just get themselves together. They are also provide a vital intervention in severe cases of psychiatric disturbance. But the prescription of drugs as a solution for human sadness, grief, anger or frustration – all completely normal aspects of the human experience from which we learn and grow – demeans both patient and doctor, and keeps people trapped in their suffering. Such interventions are based on an over-simplistic modern materialistic paradigm that reduces human beings to chemical-filled skin-bags whose experience can be pharmaceutically manipulated with impunity (oh Brave New World, that has such treatments in’t …). Beth Murphy from the UK mental health charity, Mind, labels the increase ‘staggering’ pointing out that other therapies such as counselling/psychotherapy and – I would add – acupuncture (see this factsheet from the British Acupuncture Council), can in many cases be more effective than drugs. Unfortunately, mentions Murphy, access to such therapies is ‘patchy’ (an no prizes for guessing why this is the case … see my previous blog post on this here). One of the main arguments that has been hitherto used to dismiss acupuncture as just placebo is based on studies that found that ‘true’ acupuncture (a.k.a. ‘doing it properly’) is not much better than ‘sham’ acupuncture (a.k.a. ‘doing it almost properly’ – with the needles inserted into the body slightly away from actual acupuncture points). Both the true and the sham acupuncture in these trials tended to be effective, which leads professional sceptics to shout loud from the rooftops that ‘it doesn’t matter where you put the needle’. However, a meta-analysis by an excellent team of UK-based researchers, involving 29 good quality trials and tens of thousands of acupuncture treatments has shown that acupuncture is significantly superior to the controls with which it is typically compared – irrespective of the type used. This analysis included patients with headache and migraine, osteoarthritis and back, neck and shoulder pain. The controls with which ‘true’ acupuncture was compared included ‘sham’ needles (as described above), non-penetrating sham (i.e. ‘false-dagger’ type) needles, and routine care. Acupuncture was found to be significantly superior to all of these controls. True to form, where penetrating needles were used as a sham control, true acupuncture was found to have smaller effect sizes. Larger effect sizes were found where acupuncture was compared with routine care. The take home message here? There are a few. Firstly, acupuncture is effective for illnesses involving pain. Secondly, there is no such thing as ‘sham’ acupuncture; wherever you insert a needle into the body it produces important therapeutic physiological activity. And finally, it’s back to the drawing board with for many acupuncture researchers, as many of the trials conducted up to this point really aren’t fit for purpose as evidence.